Description: The tool consists of a series of trials stimulating certain social behaviours in the repondent and enabling the test administrator to observe him/her in natural interactions. ADOS is a partly structured tool. It requires a standarized set of materials and the use of precise assessment criteria but the administration procedure itself is rather flexible. ADOS includes five modules (versions) designed for respondents differing in terms of age and level of linguistic expression. The test administrator assesses various aspects of behaviour which represent 5 categories: Language and Communication, Mutuality in Social Interactions, Playing/Imagination, Stereotypical Behaviour and Fixed Interests, Other Abnormal Behaviour. Apart from qualitative data some quantitative data can also be obtained in two scales: Social Affect and Limited and Repeated behaviour, as well as a total score. By comparing this score with an appropriate screening threshold it is possible to determine whether the respondent's behaviour represents the autism spectrum disorders. In the case of the youngest respondents (children under 31 months) it is possible to determine the extent to which the child's behaviour may give rise to concern. For the respondents over the age of 30 months apart from the total score a comparative score can be calculated (based on the total score) which uses a 1 through 10 scale, shows the intensity of disorders and allows for individual comparisons. Reliability: Research conducted as a part of the Polish normalization process confirmed high reliability of the tool determined on the basis of the agreement of the judges, stability and internal consistency. 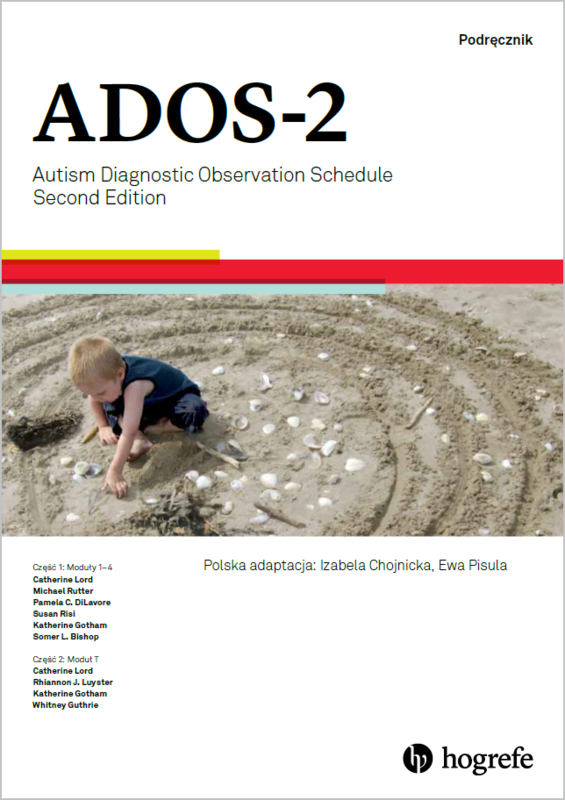 Validity: Validity of the Polish version of ADOS seems to be proved by the high correlation of its scores with those of other autism assessing tools ( Autism Diagnostic Interview and Social Communication Questionnaire) as well as big and significant differences between the group of respondents with childhood autism or other ASD and the control group which included persons with disorders unrelated to autism and persons with typical pattern of development. Sensitivity and specificity rates of the scores proved satisfactory. Application: ADOS-2 allows to measure various autism spectrum disorders as well as to assess changes which occur due to therapeutic interventions. It may provide information useful for therapy planning. It is also recommended for scientific research.